Voice Calling is the oldest and one of the most effective ways to get in touch with anyone. Making calls from your smartphone using the traditional method is not that cheap especially the International calls that costs a lot. So what if you want to talk to someone for longer time or make a high duration international call. Well the answer to this is that you can use the free calling apps to call anywhere in the world for free on their smartphone. 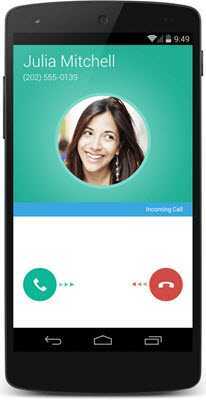 These free calling apps can be downloaded for free on your smartphone and then you can make free voice calls or free video calls to anyone having the same app installed in their smartphone. Here in this post I am going to tell you about such free calling apps for Android, iOS, iPhone and Windows phone by using which you can call anyone in the world for free. These apps only only require Internet connection to work and for voice calling and video calling. The calling is done using the VOIP technology which is known as Voice Over Internet Protocol. Note: These free calling apps supports free calling only for app to app calling and they consumes your data or Wi-Fi internet for that. If you do not have Wi-Fi access then your mobile data will be used. Data charges vary from mobile operator to operator and their rates will apply for that. You can use these apps with 2G / 3G / 4G / EDGE or WiFi Internet. Here are the best free international calling apps to make voice calls or video calls to your loved ones. Most of the below mentioned voice calling apps are available for all three platforms i.e. android, iOS and windows but there are few apps that are available for android phones only. WhatsApp really needs no introduction because as of now it is most popular and widely used messenger app in the world. Using WhatApp you can chat with your friends, share images, videos and audio files. The most important things that makes WhatsApp so popular is its simple interface, features, functionality and most importantly it is available for free to use and download. WhatsApp was primarily developed as a simple messenger app for chatting purpose only but now they have introduced voice calling and audio recording features. Now you can call anyone in the world for free using WhatsApp. WhatsApp uses your phone internet connection to work whether it is 2G/3G/4G/EDGE or Wi-Fi Internet. WhatsApp is available for almost all the popular mobile platforms including Android, iOS and Windows Phone. Now it is even possible to install WhatsApp on your Windows PC and Mac OS computer. So if you have not installed WhatsApp on your Smartphone then you must hurry up and you can download this awesome messenger and free calling app for your mobile device from the links given below. Viber is one of the best free calling apps that can used to make free voice calls with HD sound quality. 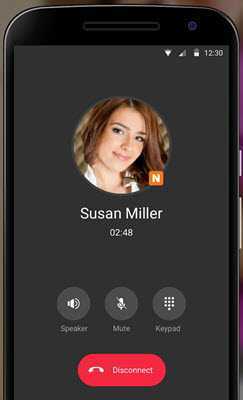 Just like WhatsApp, Viber is also a messenger app but is more famous for its excellent voice calling feature. Viber lets you chat and share audio, video and documents to anyone on the viber app. It lets you make free voice calls through VOIP using the 3G or Wi-Fi internet on your smartphone. Viber is available for android, iPhone and windows phone. You can also install Viber on your desktop PC. So if you are looking for the best voip free calling app then you must install Viber on your smartphone. imo is a very good free calling app that can be used to make free voice calls and free video calls. 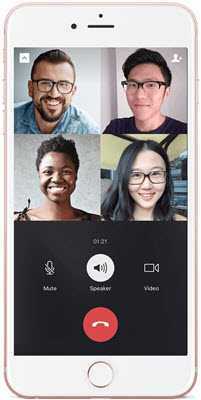 This calling app is free to use and you can make high quality video calls and voice calls to anyone no matter where they are in the world. This free calling app can also be used for chatting and share photos and videos. The app works with 2G, 3G, 4G or Wi-Fi connection and is available for android, iPhone and windows desktop PC. LINE is a messenger and free calling app that is famous for the use of its exciting and animated stickers in the chat or messaging to express your mood or emotions. 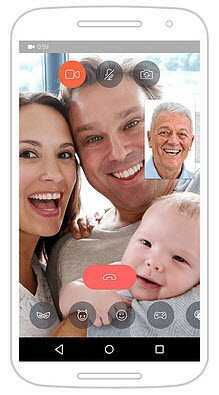 The main plus point of LINE app is its interactive messaging but is can also be used to make free video and voice calls. LINE is available for variety of platforms that includes Android, iOS, Windows Phone, Nokia Asha, Blackberry, Firefox OS. It is also available for use on desktop PC, Mac OS, iPad and Chrome OS. Hangouts is a free messaging app from Google. It was previously known as Google Talk or GTalk. It may not be the best looking for feature rich free calling app but it is very reliable and works well. The User Interface (UI) is simple and easy to work with. 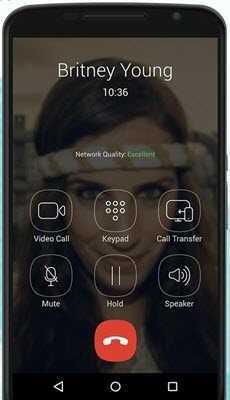 Using Hangouts you can chat and make free voice calls and video calls to your friends and relatives. App to app calling is free but for calling to numbers you have to pay some amount. So if you are Google fanboy and do not trust other apps and you must have this one on your smartphone. Google Hangouts is available for Android and iOS only. The apps is not available for Windows Phones. Facebook Messenger or commonly Messenger is a free calling app and a messaging chat app from the Facebook, the largest social networking site in the world. Using Messenger app you can login to your facebook account and the chat or make video or voice calls to your friends or relatives. You can also share multimedia files like audio, videos and other files on the messenger app. The main advantage of Messenger app is that you don’t need to create another account if you already use facebook on the web or mobile. This app also includes amazing stickers to make the chat more fun and life like. The messenger app also lets your record voice messages and then you can send them to anyone. Using messenger you can also send messages and initiate conversation with the persons listed on your phonebook contact list. 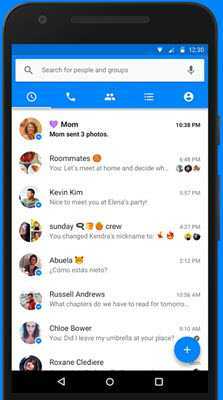 Messenger is available for android, iOS and windows phone. Nimbuzz is a very popular messenger and free calling app that has been around for a long time. It might not be popular as WhatsApp or Viber but it has its place and many people do use it. 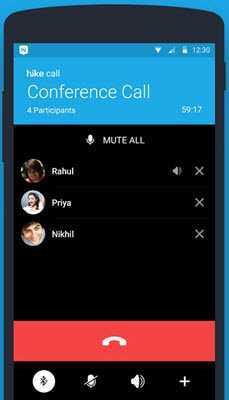 Using this Nimbuzz Messenger you can send messages, make free HD voice calls to anyone in the world having nimbuzz app installed on their phone. Nimbuzz can also connect to any SIP provider and then you can enjoy VOIP calls to any phone at extremely low rates. Nimbuzz is available for Android, iOS, Windows Phone, Blackberry, Symbian, Java, Windows and Mac. 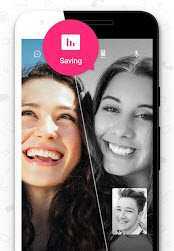 Hike Messenger is a free messenger and free calling app that is very popular in India. Hike messenger is an Indian messenger app and has around 1 million downloads on Google Play. Hike messenger has every feature and may be more on the list that you can find in other popular apps like WhatsApp, Viber etc. Using Hike you can make free voice calls in HD sound quality and also make group calls to up to 100 people. You can talk on Hike quite clearly even in low speed mobile networks or 2G network. Hike also has a hidden mode feature where all your private chats can be hidden with a password. You can send unlimited messages and share files over hike with anyone. The Hike Direct features allow you to chat and share files without internet. Overall it is a powerful, fast and feature rich messenger and free voice calling app that you must try. Hike is available for Android, iOS and Windows Phone. 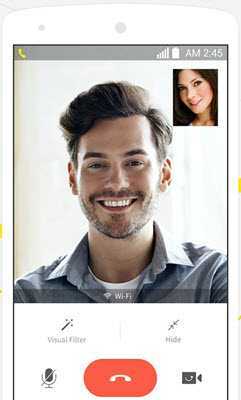 The most popular IM and Video Calling / VOIP software for Windows PC in now available on Android, iOS and Windows Phone. 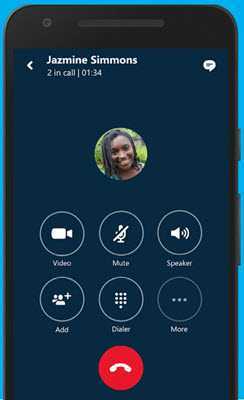 Skype is free instant messaging and video calling software from Microsoft Windows. Using this free calling app you can make free voice calls to Skype and add up to 25 people for group call. Skype can also used to call any local or international mobile or landline telephone at extremely low rates. You can also share photos and other files in Skype messaging. It is relatively newer for Android platform and you may face few bugs on Android or mobile platform. But if you have already used Skype on Windows then you may want to try this also. 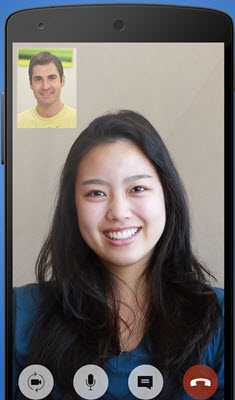 Google Duo is a free video calling app from Google. Google Duo has a very simple user interface but the app is high on functionality and performance. 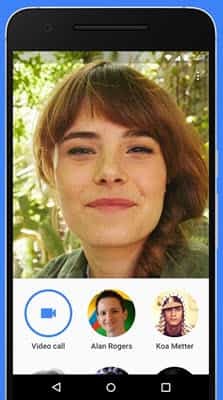 So if you want no nonsense video calling app for free then Google Duo is perfect for you. 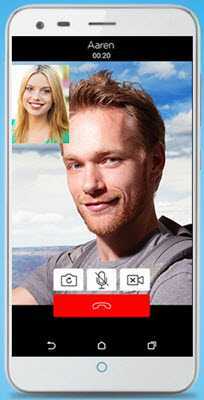 Tango is one of the best free video calling apps for smartphones & tablets. It also includes text messaging with features like stickers, group chat and audio, video and file sharing. 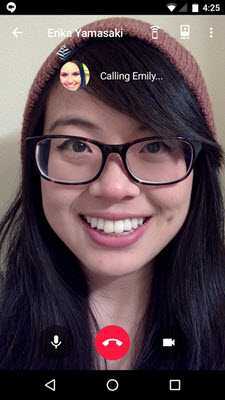 This amazing free video calling app lets you play games during video calls and you can have fun. Tango is available for Android and iOS and you can download it from the links given below. The name of this app may sound like a character from Pokemon. This app is from South Korea and it is very popular among the Asian people. It is a free calling app that can be used for text messaging and making free high quality HD voice calls and video calls. Using this app you can share multimedia files such as videos, audios and more. This app is fun to use as it supports stickers and animated emoticons. Kakao Talk is available for Android, iOS and Windows Phone. WeChat is a quite popular messaging and free calling app for smartphones. You can use WeChat for sending messages (SMS/MMS) and making free voice and video calls. It also allows you to share videos, voice messages and audio to anyone on the wechat. WeChat supports more than 20 languages and it is available on Google Play, Apple Store, BlackBerry and Windows Phone. You can also use WeChat on your desktop PC and Mac OS. Glide is considered as the fastest video messenger app in the world. This free video calling app also provides you text messaging where you can send text messages or share photos and videos on it. It also includes various cool filters that can make your video stand out. 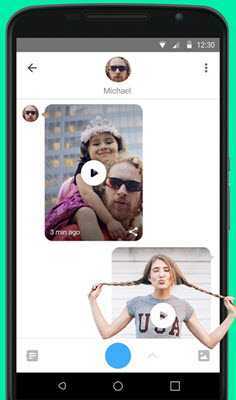 So if you are looking for a fast video messenger then Glide is definitely for you. Glide is available on android, iOS and windows phone. ICQ is a popular windows messaging software that is now available on mobile platform for making high quality free video calls and voice calls. With ICQ you can also send unlimited messages and shared files over its network. It also supports group chat with stickers, smileys unlimited number of contacts. ICQ is available for android, iOS and windows phone. Talkray is a free messaging and a free calling app that is fast and very effective. This apps supports group chats, stickers, emojis, file sharing and manly languages that include Arabic, Bengali, Chinese, English, French, German, Hindi, Italian, Japanese, Korean, Marathi, Portuguese, Spanish, Russian, Telugu, Thai, and more. Talkray is available for android and iOS devices. A messenger and free calling app from Turkey that is quite popular in middle east and neighboring countries of turkey. It is a good messaging app and can be used to make free video and voice calls. The app supports group chats, location sharing and sharing of audio, videos and photos on the app. BiP Messenger is available android and iOS. Mtak is a dedicated free calling app that also supports text messages. You can free voice calls among Mtalk registered users and for calling other users and landline phones very low calling rates apply. With Mtalk you can add either a local or international number to your smartphone which acts as a real phone number and helps you to avoid roaming charges. Mtalk supports most of the Bluetooth and wired earphones. Mtalk also includes voice mail feature which delivers the voice message whey you have missed any call. Mtalk is available for Android and iPhones. 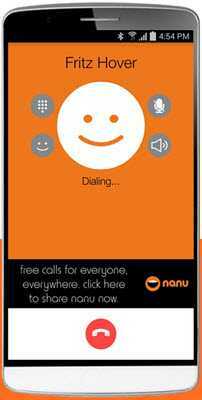 nanu is a nice free calling app for making high quality calls even on the slow 2G network. The other good thing about nanu is that it gives you daily free credits for making free international calls on any mobile and landline telephone number. With nanu you can make calls even on a slow or congested network. It uses up to 80% less bandwidth for your calls compared to other VoIP services. Nanu is available for android and iOs devices. 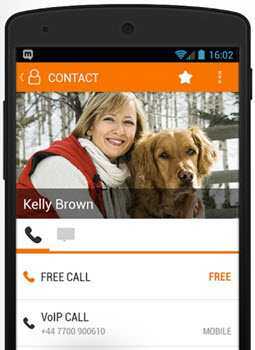 Dingtone is free calling app that allows you to make free phone calls anywhere in the world. This app allows you to get free US phone number and adds a second line to your smartphone. This means you can have the liberty of having second phone number to your current phone without getting a new SIM card. You can also purchase credits to call any mobile or landline in the world at low rates. This app comes with Walkie Talkie feature that can turn your phone into a real Walkie Talkie. Dingtone also supports text messaging, voice mail and multimedia file sharing. This app can also turn your android tablet, iPod, iPad to a fully feature phone. 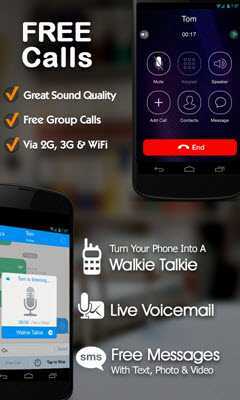 Dingtone calling app is available for android and iOS. 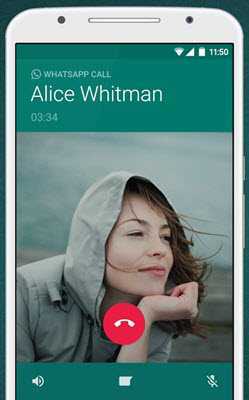 This free calling app is similar to Dingtone in every aspect. 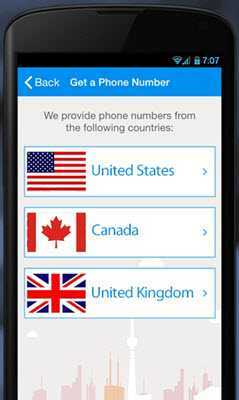 It provides you a free US phone number and you can make free calls to anywhere in the world. It also supports text messages and file sharing. TalkU app is available for android and iOS. In the end I would like to say that I have listed down the best free calling apps for android, iPhone and windows phone that can be used to make free calls to anyone anywhere in the world having the same app installed. All the above mentioned free calling apps are tested and works great. If you want to ask something or suggest any other good free calling app for smartphones then you can do so by leaving a comment below. Sir what about Google duo? Yes it is nice free video calling app. It is now included in the list. All above apps are good for social and casual interactions. But for business video calls, I would recommend using apps like webex, gomeetnow, gotomeeting, R-HUB HD video conferencing servers etc. They work well.